Thread: Hymer recalled to Germany? 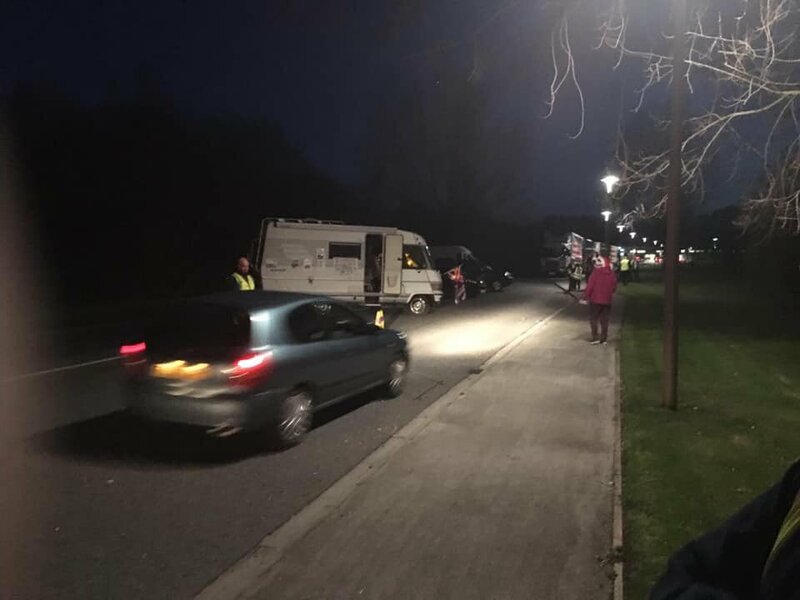 "Half a dozen protestors in cars and camper vans blockaded an Aldi depot, seemingly for the reason that the firm originates in Germany. The xenophobic protestors blocking off the road in front of the multinational supermarket chain’s Merseyside centre were spotted brandishing Union Jacks. "This is Brexit at it's best," one bellowed through a megaphone." Unbelievably a Hymer motorhome was used in the blockade. Hope it wasn't one of our members, how embarrassing! Will the Hymer eventually be confiscated and returned to the fatherland if Brexit borders materialise down the line? I sincerely hope so! Last edited by mariesnowgoose; 13-04-2019 at 16:02. I would urge everyone to get out and vote in the EU elections. Whatever your viewpoint on Brexit, there will be a huge swing across Europe to elect MEPs who want to change the direction of the EU. As a one off, you could vote for the Brexit Party just to get a larger British MEP group. When combined with other countries, we could get the change that a lot of people want and the EU will not give. Who you vote for in a UK General Election is entirely up to you. The 2 big Parties regard the EU elections as a waste of time ... the same attitude as they give to their constituents. I get your point but would find it hard to vote for Farage etc . I know , I'll be spoilt for choice . Your post also dispels the constant assertion , from many , that we (via elected members) have no say what happens in EU . JRM said something similar last week , totally contradicting himself . What else is new . You voted to remain, so I would expect you to avoid anyone with a bias against the EU. 17.4 million others might have a different opinion though. I did , indeed , vote remain . Doesn't , of course , mean I think EU is perfect . You have stated , I think , that you'd be happy in a reformed EU ?